Big company problems can benefit from entrepreneurial solutions. Active Capital has creative resources for helping established companies reach entrepreneurs and new technology in their industry. Programs can be developed on a one-time or ongoing basis to identify upcoming trends and disruptors in the marketplace, help corporations engage with startups without having to dive in to the ecosystem fully, and cultivate a spirit of innovation within your company or community! Contact us to talk about how we can help your big organization benefit from the entrepreneurial movement. 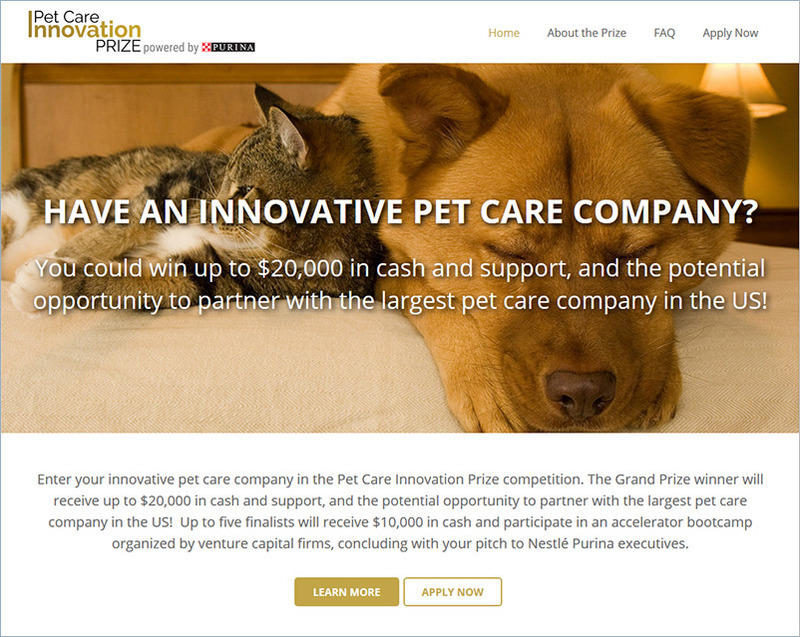 More than 80 companies from 11 countries applied for the Pet Care Innovation Prize. The contest identifies and supports early-stage pet care companies in the growing global market, which has $60 billion in annual U.S. sales alone. The competition is tailored to companies producing food, nutrition, pet care, play and technology products and services for dogs, cats and their owners.